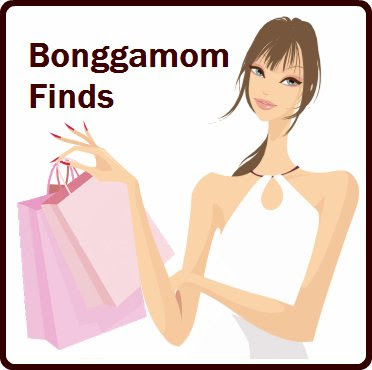 Finding BonggaMom: Lights, Camera, Action! 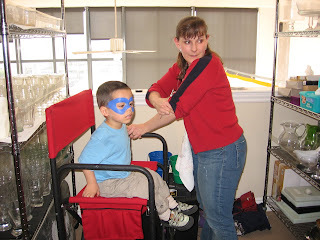 What do you get when you combine face paints, pillowcase capes and my kids? 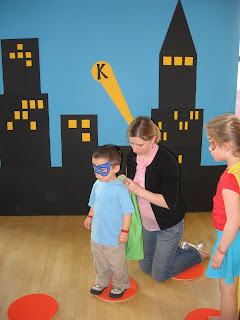 Three superheroes for a Gymboree activity book, that's what! Yesterday we went up to San Francisco to shoot some layouts for Weldon Owen Publishing. I told them the Gymboree people wanted to take some pictures of them, so James was quite surprised to see a photography studio. He kept demanding to see the Gymboree play area, but was silenced when they started painting superhero masks on their faces. The kids were placed in front of a Gotham-like cityscape and told to jump around and strike superhero poses while the photographer took picture after picture. They had a great time! My kids are not the best at smiling when asked, but the crew did a great job of relaxing them and getting some spontaneous smiles. Occasionally I felt compelled to help, calling to the kids to smile or stop biting their lips or flex their arm muscles. And of course I had my camera with me, snapping away proudly whenever I was allowed -- not while actual photos being taken because they didn't want my flash messing up their lighting. I'll admit I cheated, taking some photos without a flash. I wondered whether other moms were as "involved" (read: stage mom-ish) as I, or more laid-back, or worse. Hey, it isn't every day my kids do this kind of thing! 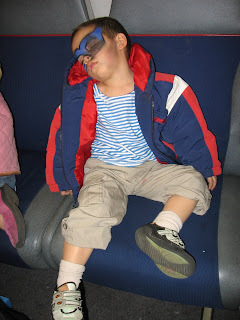 On the train ride home, the kids were still excited and quite in character. Their masks caused quite a stir with the commuters! 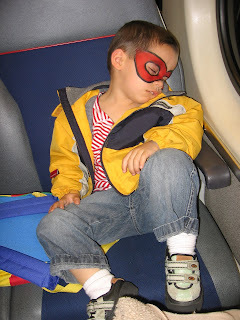 After such a long day, it was no wonder my little superheroes fell asleep. When bedtime came and we had to scrub the face paint off, all three protested vigorously. James wailed, "Now I'm not a superhero anymore!". I promised them I would paint their faces myself, but they don't have as much faith in my face-painting abilities. The book comes out in September 2007. We're very excited and will be watching out for it in bookstores.